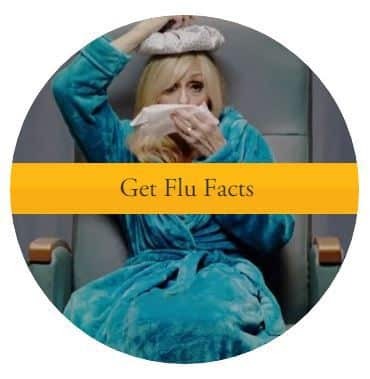 Influenza is very contagious, and may be spread by coughing, sneezing or touching things that have the virus on them, such as shopping cart handles. Symptoms include fever, chills, runny or stuffy nose, headache, sore throat, cough, extreme fatigue, and muscle aches. Nausea, vomiting and diarrhea are sometimes present. Elderly patients can be immunized against the flu annually, ideally by October. Flu vaccines are update yearly to keep up with changing viruses. People over 65 have two flu shots to choose from. They should consult their physician and follow his recommendations. In preparation for the 2015-2016 flu season, health experts have addressed the failure of last year’s vaccine and have included the missing strain that led to its 19 percent effectiveness rate. All persons 65 years and older, persons in nursing homes and anyone with heart, lung or kidney disease, diabetes or other chronic disease who have not received these shots should ask their health care providers for the influenza vaccination. It is also important that people in contact with the elderly be immunized. Unfortunately, older patients may worry about the cost or becoming ill from the vaccine. It is true that older patients are more likely to develop side effects, which may include a sore arm or fever, but this is rare. It is not possible to get the flu from the standard injectable vaccine. According to the U.S. Department of Health and Human Services, seniors covered by Medicare Part B pay no coinsurance or deductible for their flu shot, as long as they receive the shot from a Medicare provider. Prevention during flu season is important. First, practice hand hygiene by washing hands or using alcohol-based hand disinfectants. Second, always cover your nose and mouth when coughing and sneezing and wash hands immediately. Finally, use common sense and avoid people who are ill.